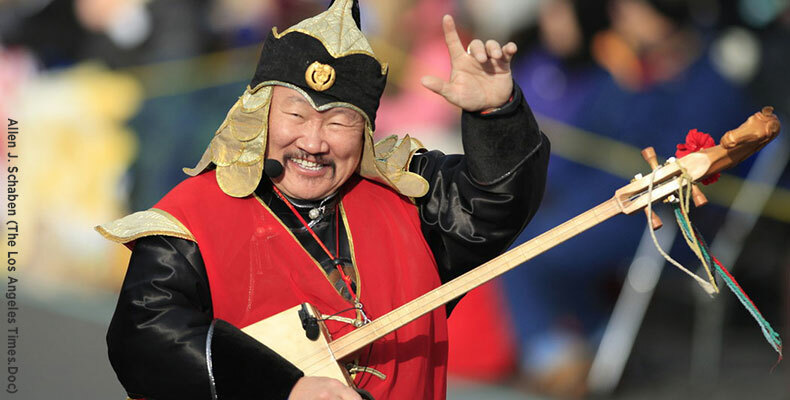 (KYZYL, THE NEW YORK TIMES) Kongar-ol Ondar, an internationally renowned master of Tuvan throat singing, the Central Asian vocal art died on July 25 in Kyzyl, Tuva’s capital due to complications after emergency surgery for a brain hemorrhage. He was 51. Mr. Ondar was a superstar in Tuva, the land of Forests, mountains, and steppe lies in Southern Siberia — “like John F. Kennedy, Elvis Presley and Michael Jordan kind of rolled into one,” in the words of “Genghis Blues” (1999), an Oscar-nominated documentary about throat singing in which he figures prominently. Known for his captivating stage presence, he was nicknamed “the Groovin’ Tuvan” by the Western musicians with whom he played (see “Vox de Cultura – Asian Frequencies”). On the film’s soundtrack album, released in 2000, the two men meld their diverse music traditions. Over the years, Mr. Ondar also performed or recorded with Frank Zappa, the Kronos Quartet, Willie Nelson, Mickey Hart and the banjo virtuoso Béla Fleck. At the same time, through his recording, performance and teaching of classic Tuvan throat singing — also called overtone singing, he helped revitalize a tradition that had been largely extinguished during the Soviet era.